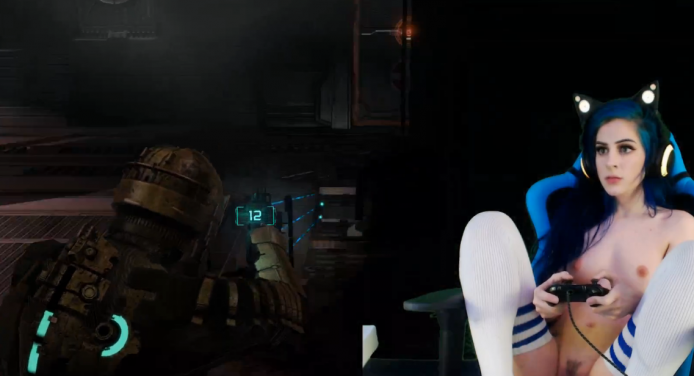 Playing some ‘Dead Space’, Kati3kat reveals why she’s currently at #1 on MyFreeCams – she can make anything interesting. I’m not even remotely interested in zombie gore shooters, and yet I’m inclined to watch now that I see her playing one. Kati3kat’s beautiful pale skin looks so smooth which makes her look incredibly hot, even hotter than when she’s not playing anything. 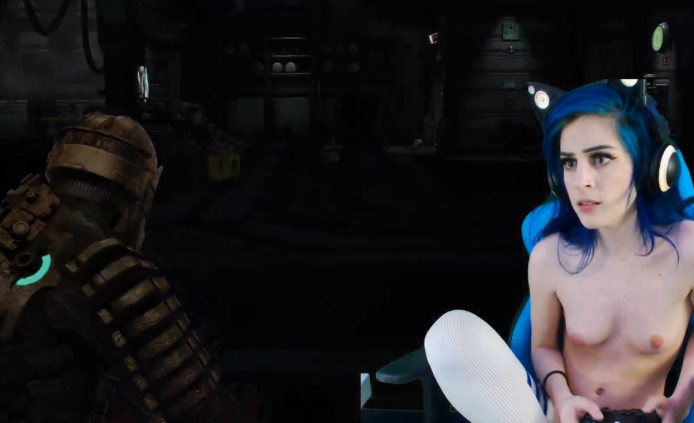 Kati3kat still has her trademark blue curly hair which not only looks amazing on her, but has grown to be kind of a symbol for anyone that declares themselves as her fan – a symbol of the K3, the Kati3kat club. Go check her out on MyFreeCams right now and maybe become a member of this club yourself. It will cost you some tokens, but it’s 100% worth it!